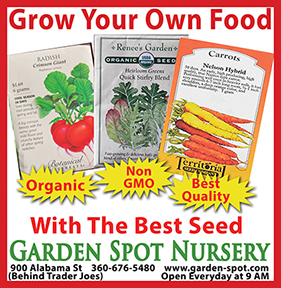 The annual coop and crop tour in Anacortes takes place Saturday, July 26. 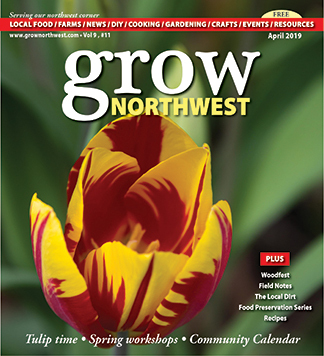 This family-friendly event shows visitors the coops and gardens of 11 sites within Anacortes city limits, and offers a morning poultry workshop at the Anacortes Farmers Market. Local resident and organizer Linda Zielinski shared some thoughts with us about this year’s event. How did the tour get started, and how is this event supported? 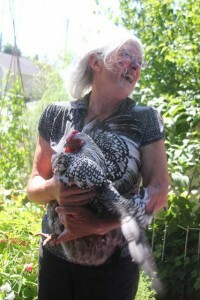 The Anacortes Tour de Coops & Crops got started when I was organizing a July 2012 SkillShare Workshop for our Anacortes Farmers Market, featuring Jill Eelkema, who has done so many City Chicken workshops for our county. At the same time, I was thinking about the Seattle Tilth City Chickens Coop Tour, and that I had never been on the tour. Then I thought, ta da: Anacortes has families with chickens, too! I like creating and organizing stuff: well, the next thing I knew, I was pleading with Anacortes families who kept chickens and great gardens to volunteer to be on the 1st Annual Anacortes Tour de Coops and Crops! So, we had ourselves a City Chickens workshop with Jill, and I had myself my first Tour de Coops & Crops. 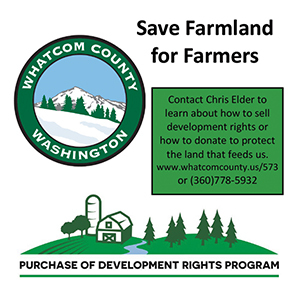 The event is supported by the Anacortes Farmers Market and Transition Fidalgo & Friends, with donations from workshop attendees and volunteer time (I’m the volunteer, doing all the tour descriptions and tour map, and lining up the families who are the other volunteers)! What can participants expect to see this year? This year, we have 11 families that are sharing their yards, all inside city limits. All of these families have chicken coops, vegetable gardens, tree and/or small fruit. A couple of the coops, both home-built, are so clever and use a minimum of materials, and would be excellent for study by visitors wishing to build an efficient coop with a simple design. Over 10 chicken breeds will be featured, so a visitor will be wise to ask about the characteristics of these different breeds, such as: which ones are great layers, good with children, hardy in the winter, and so forth. Visitors will also see vegetable gardens interplanted with pollinator-attracting flowers, and quite a bit of year-round veg gardening. They will see garden art, re-purposed materials, and efficient watering systems, and I do believe that everyone will be amazed at how much food these families can produce in such small, well-organized yards. Can you tell us about the local properties on the tour? These are small, standard-sized city lots, with smaller homes and families with children. The tour, easily done by bicycle, has less than two miles between the southernmost and northernmost “urban farmsteads.” Approximately half of these properties are south of 32nd; the other half nearer 12th Street. You seem to really enjoy sharing information with the community. Can you tell us about your background? 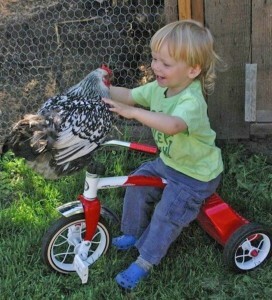 How long you have been raising poultry and gardening? I built a sailboat with my late husband, Pete Larkworthy, then lived and sailed on it for many years, until 2003 when we bought our little house in Anacortes. My need to dig in the dirt and grow things got really big, by then. Taking the Master Gardener course and the Master Composter/Recycler course gave me a skillset that really has made my life richer as a homeowner and gardener. I love to listen to others, learn from them, and teach what I can. In former days I worked with elementary school children; nowadays I teach adults, and you know, we all learn from each other. I love to share information and teach, and whatever I love, it makes me happy to find an audience to share that with. I have raised poultry for over four years, but also my dad had a small chicken ranch when I was very young. He and my mom also included me and my sister in helping with the vegetable garden for my whole life with them. I would like to suggest that families share gardening and poultry with their kids to give them a joy that they can return to later in life, as I have been able to do. I live near an elementary school. The kids always stop to cluck at my chickens, and to tell each other what the heck kind of vegetable is that growing in the garden. I love to hear those children, and occasionally I will grab Daisy, my favorite chicken, and bring her out for the kids to see. I love having greens for salads and stir fry, plus eggs just outside my back door, with no need to go to the grocery store for a quick or leisurely homecooked meal. I will cover these topics: city codes for chickens, a poultry raiser’s potential commitments and expectations, coop and run size and features, raising chicks, poultry health issues, healthy handling of chickens and eggs, food and water requirements, and proper use of chicken manure in the garden. What local resources do you like to tell folks about? 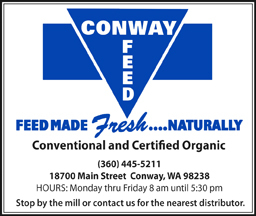 Sources for feed; how to decide when a veterinarian may be needed; buying chicks locally but increasing your odds of procuring hens and not roosters, which city ordinances don’t allow; types of materials to buy to build coops and runs, and helping folks take a critical look at ready-made coops for predator-proof design and comfortable chicken living quarters. Mostly, I hope to educate folks to think before they buy or build. Just that I am not alone in finding that chickens bring a joy to my life! Many folks in the workshops I have given over the last two years say they wonder how they could have gotten along without chickens: their antics and behaviors, the sounds they make, both comical and soothing, their part in the cycle of vegetable gardening from creating manure for fertilizing, to eating the extra veg, plus eating grubs and bugs. I consider my gals to be pets with benefits, that would be, eggs! Once a coop is set up and your family has learned how to manage your little flock, you will find that chickens are easy to care for, and a delight to be around! 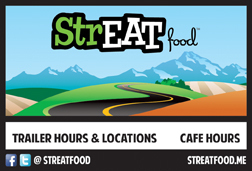 Maps for the tour will be available at the Anacortes Farmers Market. The tours runs from 1 to 4:30 p.m. on Saturday, July 26. The morning workshop takes place 10 a.m. to noon.